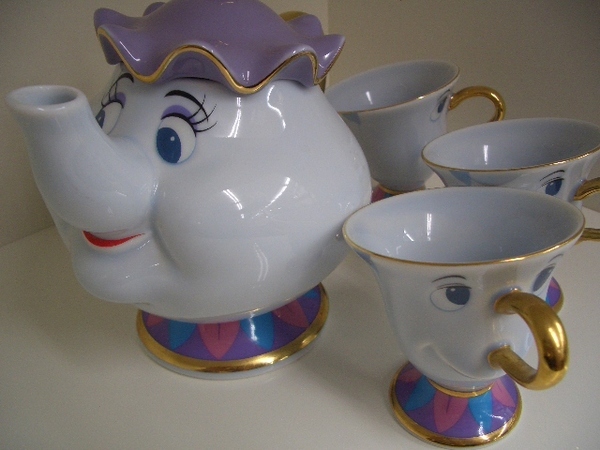 Be our guest and drink in the charm of Beauty and the Beast with this collectible Limited Edition Mrs. Potts Tea Set. Beautifully crafted in fine china and trimmed in 24-kt. gold, this fun and functional tea set will bring memories pouring back. Sorry, is this still available for sale? Sorry, guys... I don't have these anymore and as far as I know It's sold out anywhere! You can try ebay or similar websites! where did you get the sugar bowl??? The picture of the set at home on kitchen counter top - looks very different from the one in the box. 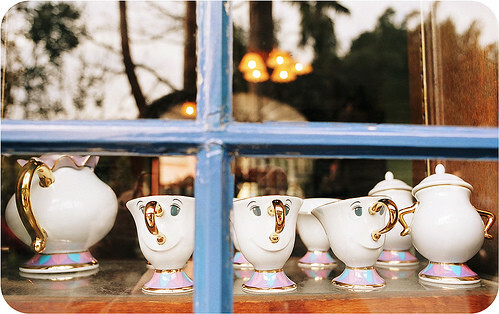 The faces of all characters are painted differently plus there is a sugar bowl. Very very beautiful. Which set is that in the kitchen ??? Could I know if this is available for sale again?? It's not available anymore! You may try ebay or amazon! If you go to Disneyland in Japan you can buy them. I don't think they're 24carat gold but looks exactly like that. I saw them about 4 years ago and didn't buy them at the time. I went back to Japan last year and got the teapot, 2 chip cups and the sugar pot. I went to disneyland japan earlier this year on feb, and i bought it all individually. well worth the buy. 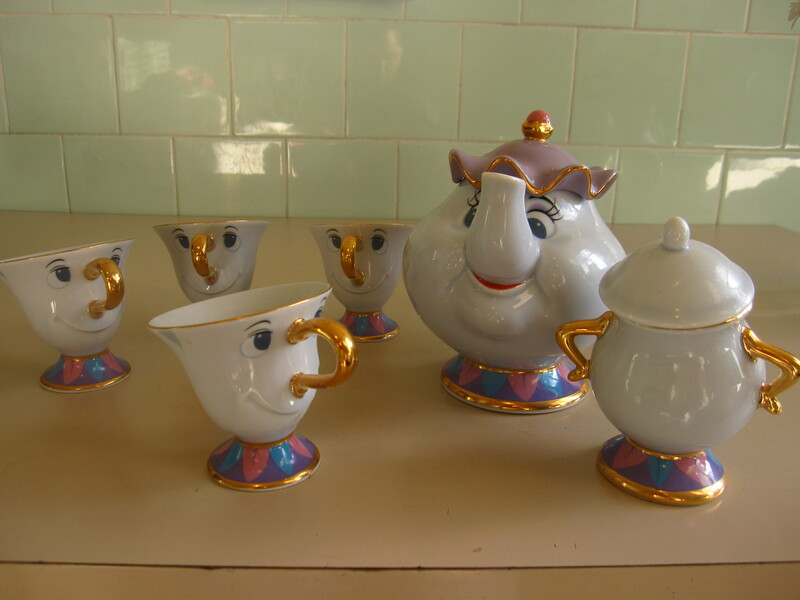 It's absolutely ridiculous that this tea set is now going for almost $1,000 on eBay. Don't consumers realize that if we banded together and refused to pay that amount, we could get sellers to lower the price down to something more reasonable and then all of us could enjoy it. It's so disheartening that some people will stop at nothing to take advantage of someone else all for the sake of the almighty dollar. You don't seem to understand the meaning of "limited edition." We can't "all" enjoy something when there is a limited amount. After reading this blog I just looked up flights from Australia to Tokyo. Not joking. 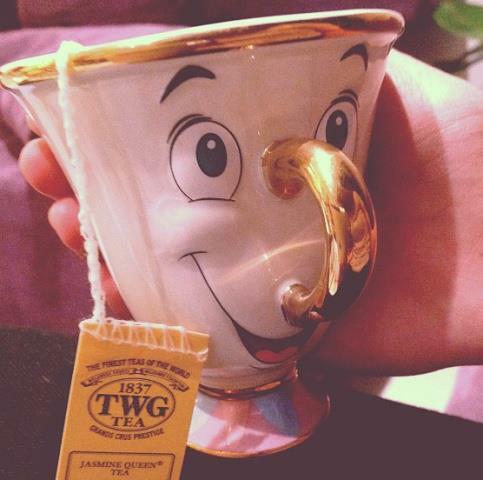 I'm due a holiday anyway and this is how much I want a teacup!! 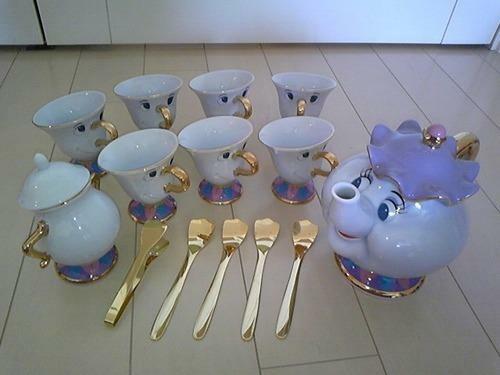 Disney Should do a limited edition set again for an anniversary!! Did this set come with sugar and spoon pieces as well ?